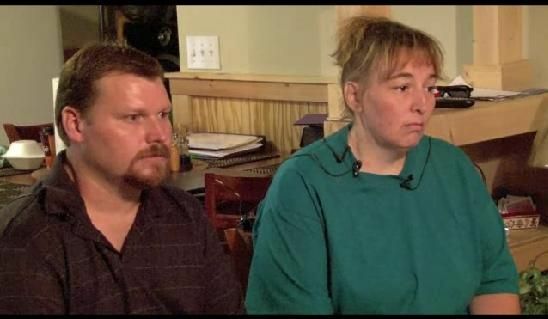 Mooresville Casey Parsons said all trips to meet with Irene "Nan" Goodman for Erica Parsons to visit her, that they met at McDonalds in Mooresvile, NC for the exchange --- . "we weren't ready to do no permanent signing over or anything like that. I just wasn't ready to do something like that. Um, because I would feel like I lost her at that point and she wasn't going to come back." --- . Casey Parsons: No, she's- she just wanted to stay with Nan. And I- in and out of the hospitals and- even back in September when she would come home and in November when she would come home, she always wanted to go back. She was ready to go back the very next day after she come back. And, she loved Nan's. She always wanted to go to Nan, if it wasn't going she wanted to call her. She was always ready to go. And, when I go in and out of the hospital, that would be the first place that she wanted to go back was instead of going to my moms and staying, or staying with her older brother and sisters, it would be, "Can I go stay with Nan while you are in the hospital?" That was a four hour drive, we always didn't get an advance notice- I'm going to be in the hospital. It might be emergency room and then get put in. And, so we agreed, "Okay, we'll do that, but- you can stay." There was- we weren't ready to do no permanent signing over or anything like that. I just wasn't ready to do something like that. Um, because I would feel like I lost her at that point and she wasn't going to come back. But, she was happy and she loved Nan. I liked Nan. I really did. She's a very sweet lady. "Meet Our Family" page, says oldest son (Wade) got married Aug. 2011 and here: "and my oldest son had already left and got married at that point. He did not live here, and he was fixing to go into the army" --- . Parsons Attorney: And, at that time he was going- you were ill. He was going through legal situations. And it was- it wasn't- it'd be easy to believe a child could have an idyllic setting somewhere else that they'd rather be in. 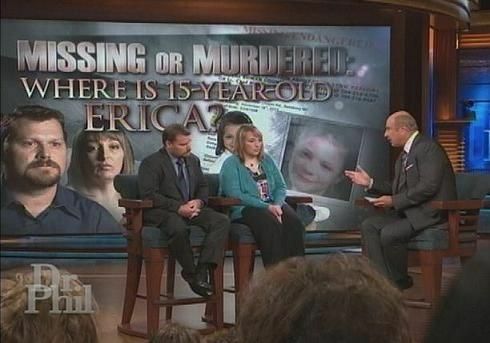 September 11, 2011 Dr. Phil's Interview shows this date 09/11/11 as Erica's Sept visit w/"Nan"
You don't have an address where she went. You don't have the phone number you talk to when you called her or she called you. You don't have her Facebook address or contact. All them has been deleted. Dr. Phil: So that means there's a record of that call coming in or going out, you calling her, her calling you. If you don't remember it, we can go back and find that phone number. We can find out who that was registered to because the police say this woman doesn't exist. There is no "Nan" kind of like Zanny the Nanny in the case in Florida with Casey Anthony, there was no Zanny the Nanny, they're saying there's no "Nan." Dr. Phil: Right, but they're saying you fabricated this person, is that right? Casey Parsons: Yes. She not only went one time, she went two times to visit, and back. Dr. Phil: You don't have an address where she went. You don't have the phone number you talk to when you called her or she called you. Dr. Phil: You don't have her Facebook address or contact. Casey Parsons: All them has been deleted. We have tried and tried. Even her half sister said they've been in contact with her since I have the last. Dr. Phil: Okay, so, I got us off track here, ah, so September 11th she goes to spend a weekend with "Nan" then... She likes her? Dr. Phil: I mean she doesn't have problems, comes back. Casey Parsons: Yeah no problems. Welcome to WeBidz. 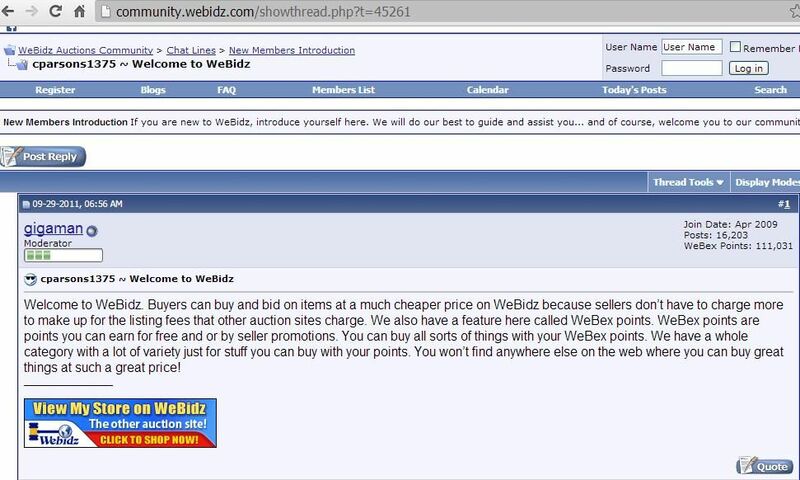 Buyers can buy and bid on items at a much cheaper price on WeBidz because sellers don’t have to charge more to make up for the listing fees that other auction sites charge. We also have a feature here called WeBex points. WeBex points are points you can earn for free and or by seller promotions. You can buy all sorts of things with your WeBex points. We have a whole category with a lot of variety just for stuff you can buy with your points. You won’t find anywhere else on the web where you can buy great things at such a great price!